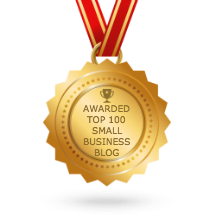 The Australian Small Business Blog: Where to Start? When looking at your business, is it like looking at one of those houses that real estate agents love to call: “a renovator’s delight”? You know, it is basically sound structurally, but the paint is peeling, cracks are showing and the garden is a mess. It does not need a huge amount of effort, just a bit of love and attention, some elbow grease and a bit of know-how. Or is it like a sapling with shoots growing everywhere but with no clear growth direction and shallow roots? Whatever your business looks like, when seeking to renovate or prune it into shape, the question is where to start? Should it be on your marketing or your systems, or perhaps your website or sales? The correct answer is to re-look at your goals so that every effort you make is taking your business in the direction you want it to go. Otherwise you will waste considerable time and money with unfocused strategies- scarce resources in small business. This is the difference between a light bulb and a laser beam which can cut through steel. This book, which has a forward from Tony Steven, the CEO of COSBOA, the peak small business organisation in Australia, comes with a $100 of business tools, and provides an easy to understand, step-by-step approach on how to improve your business, starting with your goals, right through to systems and sales. When you truly understand where your business is going, the job of defining a marketing strategy and putting in place systems becomes much simpler. Without this understanding, every day is a battle for survival, a hand to mouth existence. With it, every strategy you implement is about creating an unassailable position for your business in the marketplace. Share This Article: Where to Start?